One of the most critical aspects of a healthy lifestyle is having a home which has good vibes and helps you combat stress. Even though a lot of your health issues are not in your control, the necessary maintenance of a healthy lifestyle is very much up to you. 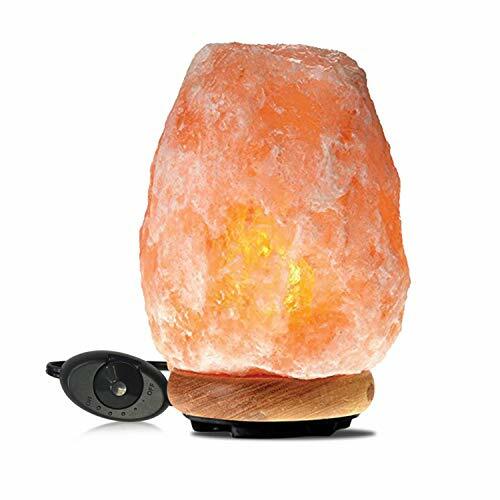 Himalayan Salt Lamps could prove to be a valued addition to your home, as décor as well as for a couple of claimed health benefits it imparts. However, it is very crucial to identify the real ones from the fake. 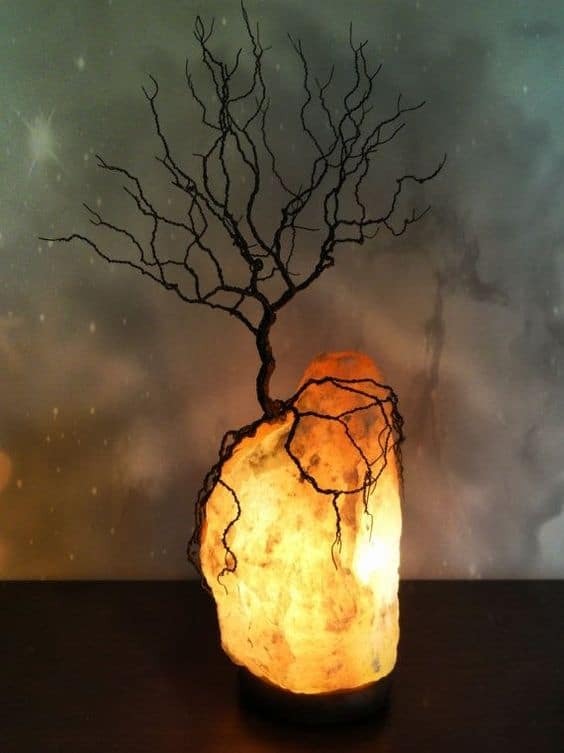 If you need help, we have curated a list of the best lamps made out of Himalayan salt ! According to a lot of proven reviews, the salt lamp essentially gives off a dim glow and is also great as a décor. The health benefits it imparts ranges from combating stress, better sleep, the source of negative ions, purification of air, fighting respiratory diseases, reduction of electromagnetic radiation, a better immune response of the body and so on. So, when do you get to know that the lamp you purchased is helping you? Being a lamp, it is apparently supposed to be a source of light but is also important to understand that it only gives a dim glow and not a very bright light. If you see that your lamp is imparting a very bright and luminescent light, the lamp is possibly fake. The glow should not be bright orange or pink, or even white. Instead, it should be a mixture of soft orange and pink. It is more pleasing to the eye than any other LED light in your house. It is important to make sure that the bulb which is used for the lamp is heat emitting, with proper wattage. Regular LED lights which give a bright glow do not work for these lamps and for the lamp to work effectively in negative ion release and moisture purification, the heat is crucial. If your lamp is not heating, it is time to reconsider your buy. One of the vital features of a Himalayan Salt Lamp is that it absorbs moisture from its surroundings and purifies the air. This helps in sieving the impurities from the air, and the lamp thus needs to be cleaned occasionally. If your salt lamp is real, it will sweat, which means it would release moisture. This process is called hygroscopy. The air which is essential has moisture, and this is then cleaned and released again. Hence, if the lamp is not sweating, it is surely not real. Use a dry cloth after using the lamp for a while to check if it is damp, if it is, the lamp is undoubtedly real. Salt can never be unbreakable, it is fragile, and it is supposed to crumble under pressure. If you accidentally happen to drop your lamp or cause any damage to it, and the lamp shows no sign of breaking- it is a bad sign. These lamps tend to chip off since they are so fragile. Hence it may also get damaged while being delivered to you. Make sure that you keep a check on it and also how it holds up to stress. The usual Himalayan Pink Salt lamps are orange-pink. They are not exactly cheap, but they are a little cheaper than the white crystals. They are not only rare to find, but they are also way more expensive than the pink variants. If you happen to purchase a white lamp at a cheaper price than that of the pink, it is a definite fake. Now we all know by now that the lamp is made out of salt and is fragile, so the seller is also aware of this fact. Any lamp which is sold with no return policy or with stringent return policies has a chance of being fake. Knowing its fragile nature, sellers usually have a good guarantee period with the lamp and are flexible with their return rules. True to its name, the Himalayan Salt is mined from parts of the mountains. To be specific, the mines of Khewra, in Pakistan. It is in the western section of the Himalayas. Any lamp which says otherwise is a definitive fake and will not impart any of the benefits of the lamp to you or your home. You have owned the lamp for a considerable amount of time. You live by it, turn it on every evening when you get back from home and turn it off in the morning. You don’t feel any difference with or without its presence. The chances of you being cheated are high in this case! 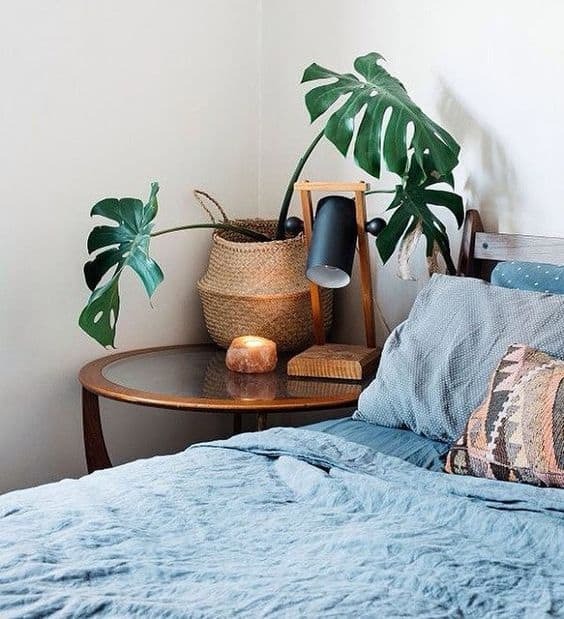 For you to know if the lamp is real, you should be able to feel the benefits of the lamp, like lowered stress, easier breathing, better sleep, better lifestyle and positive energy around you. The lamp you just purchased is tiny and does not seem to be making any effect on you or your home. First and foremost, you have to check that the room is not too big. You cannot expect a small lamp to purify the air of a large room. 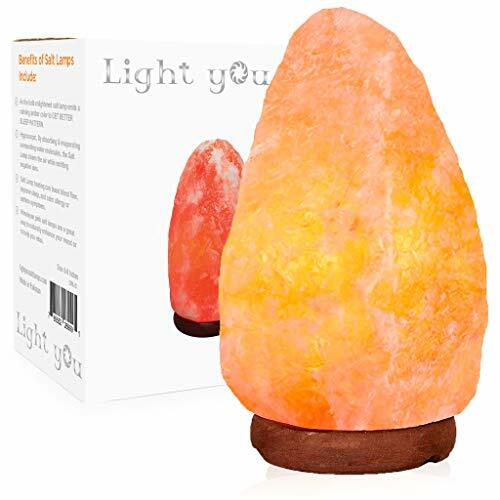 Usually smaller size lamps show way lesser benefits than the larger ones, and if the large and strangely heavy salt lamp is still not giving you any health benefits, it is fake! Also, large lamps will never provide an even flow of light, so keep that in mind too. The Himalayan salt is mined in dangerous situations, and the mineral being very fragile is also hard to handle. Keeping all such facts in mind, the price of the salt lamp cannot be so low. Also, just because your salt lamp is very expensive, does not mean that it could not be a fake. Even very pricey lamps can be fake. Hence, before making any purchase, it is important to check the price, features, specifications and most importantly customer reviews. Customers usually come forward and review products correctly, and if the product is a fake, they will say it first! 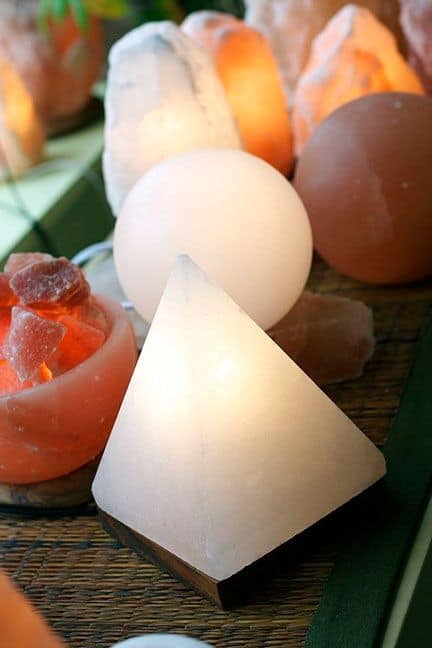 These are just some of the ways how one could differentiate between a real Himalayan Salt Lamp from a fake. There are various other ways one could figure it out, and only thorough comparison and research help to understand products better. I’m not quite familiar with the Himalayan Salt Lamp, but I’ve heard good things about. It’s good to know how to spot fakes before buying. Wow, wonderful article to read. I had no idea of these facts. I’m quite relieved that my lamp didn’t have any sign that it was fake. I’ll take note of these when I buy another one for my friend. It is an amazing article to go through. It is pivotal to check the price, features, specifications of the product before buying it. 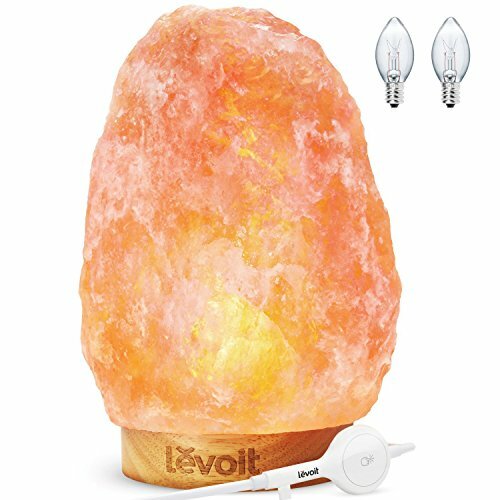 I’ve heard about Himalayan Salt Lamp from friends but never really thought about purchasing one. Now I know it looks amazing and most of all has great health benefits. I love the Crystal Decor Natural Himalayan Salt Lamp in Star Design. It will look stunning in my home. I have never heard of a himalayan salt lamp. This article was very educative and well written. I will show it to my mum who is always attentive to anything that has to deal with the health. This is my best find today. Wow, great review, I had no idea that Himalaya salt lamps had a relaxing purpose, I used to thought their purpose was only being a rustic style decoration. Might I ask why people buy salt lamps? What are your reasons for buying one and have you seen these signs on your salt lamp? Because I am thinking on buying one but would love to know other peoples’ reasons for getting one.